Lakeside Park has been established in 2005 and expanded in 2015 with the opening of two new buildings B11 and B12 which perfectly aligned with the celebration of their 10-year anniversary. In building B11 you can find the seminar and event area »Lakeside Spitz« with six flexible air-conditioned rooms with high-quality technical equipment and variable sizes between 30 and 420 square meters for up to 400 people. 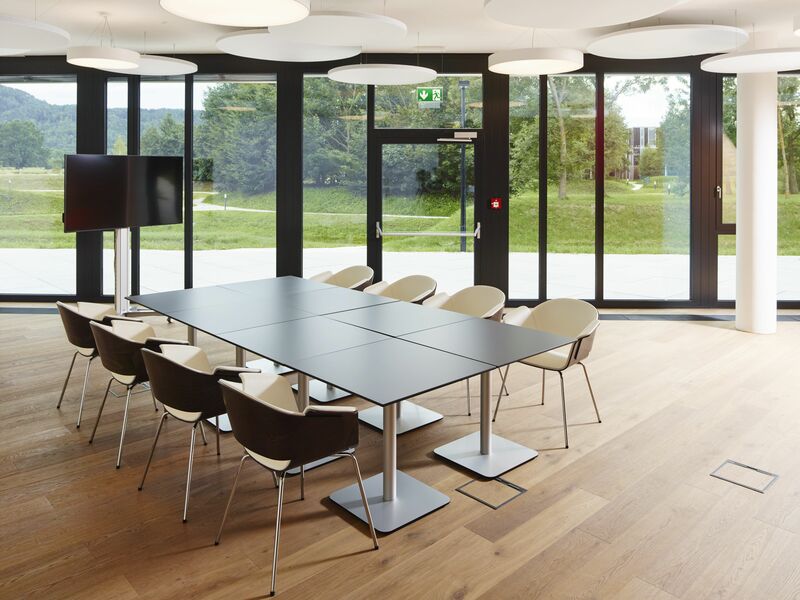 With its position in close proximity of Lake Wörthersee and Klagenfurt University, thus standing next to the Natura2000 area, this science and technology park can adopt to all range of meeting organizers. From about 420 square meters for up to 400 persons to smaller venues up to 10 people, Lakeside Spitz offers flexible options. Up to date technologies are available for meetings, but you may also use on site restaurant and catering, sports facilities outside the premises (park offers range of activities like street basketball court and running track) and direct access to network possibilities (over 60 regional and international enterprises have settled at Lakeside Park, alongside three research centers). “Everywhere you go, you can feel the spirit of Lakeside Park, the dynamic, innovative and inspiring environment”, said Lisa Svetina, event manager at Lakeside Park. And her words are on point. Smart and green thinking was implemented into creating Lakeside Park back in 2005, with further growth and development in 2015. Positioning your meeting in a natural environment and embracing nature as part of inspiration and green meeting practices have become a key decision factor for meeting planners when searching for an area in southern part of Austria.